XIT Paving knows firsthand that dealing with underground utilities requires accuracy and precision, combined with state-of-the-art technology. 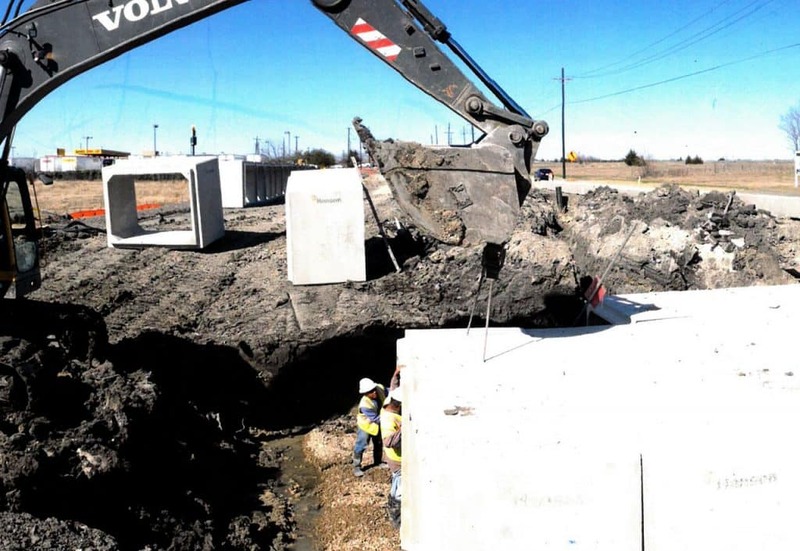 Our services include storm and sanitary sewers, culverts and water mains. XIT Paving is a versatile underground utility contractor small enough to accommodate a customer’s most demanding needs and large enough to tackle large difficult jobs. XIT Paving specializes in new site utility installation and utility rehabilitation of storm sewer lines, sanitary sewer lines, water lines, and manholes. Any contractor can install underground utilities, but in order to stand the test of time underground utilities need to be installed with the laser accuracy required for a quality system. XIT Paving has proven experience to handle any underground utility or drainage project. Our underground utilities installation crews bring a high level of professionalism, knowledge and experience to a wide variety of underground installation projects. To learn more about XIT Paving’s underground utilities installation services for your next project, or to request a quote, contact us here or call us directly at 972-351-9906. XIT has the equipment and expertise to handle various types of slipform paving. XIT can handle all of your trucking needs. We have aluminum trailers, steel trailer, tandem dump trucks & concrete ready mix trucks. XIT installs all types of storm drainage (RCP, HDPE & RCBC) as well as other various types of storm drainage structures.